Steven (Chicagoland, United States) on 22 January 2019 in Cityscape & Urban and Portfolio. 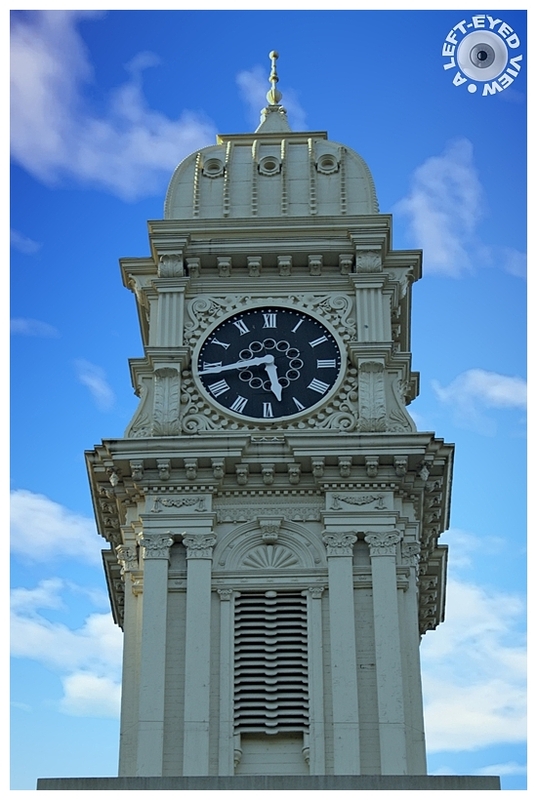 The Town Clock is a large clock that stands in downtown Dubuque, Iowa. The clock has stood over the city for over 130 years. The present clock is the second "Town Clock". The first collapsed in the 1870's, killing three people. The building on which it originally stood is listed on the National Register of Historic Places, but the clock tower itself is not. The Durrant Architecture firm of Dubuque designed a pre-cast four-column pedestal that was then placed in the plaza. The actual tower was brought to the site on Feb 12, 1971, and bolted to the pedestal. The faces of the clock were placed at the new location on Feb 16, 1971. Afterwards the cupola was placed at the new site, which completed the move. After the reassembly was complete, the clock stood about 108 feet above the street, which was about two feet taller than at its previous location. The move helped increase the visibility of the Town Clock, where it now served as the centerpiece at special events held at Town Clock Plaza. Otherwise, most of the traffic had moved out to the west end of the city. Main street had become an office park. In 1989, concerns were voiced about vibrations made by loud music and dancers possibly causing damage to the pedestal or the clock. The city studied the problem and stated its confidence that the Town Clock was structurally sound. A beautiful clock, nice architecture. Jolie tour avec toutes ces sculptures. Gorgeous clock and interesting history. Interesting history there . . must say it looks robust. That is a beautiful tower with the clock. No street art on its walls ????? Excellent detail. A superb image of this clock. Un beau clocher avec cette horloge ! A real beauty ! Such fine detail that looks to be holding up very well. Excellent framing. an interesting write up and a lovely impressive image here !!!! Beautiful clock tower. Thanks for the info too. Great shot! Thanks for the information. Beautiful fraùing of this superb townclock ! A lovely image of this impressive clock. This is a beautiful clock. It has quite an interesting history. The architecture and the design is gorgeous. It really stands out against that brilliant blue sky. Dubuque looks like an interesting town to explore. And this clock tower is so rococo. A beautiful watch that had a troubled "life". Your point of view and tight crop show off this magnificent structure beautifully!